The lover of Mandy Gallear who was stabbed to death by her husband has described their relationship to a jury at Liverpool Crown Court. Mark Prescott said the defendant, Stuart Gallear threatened him on the phone after finding out he was having an affair with his 42-year-old wife. He told the court that the relationship with Mrs Gallear first became physical in April 2016 after they began contacting each other a year earlier. 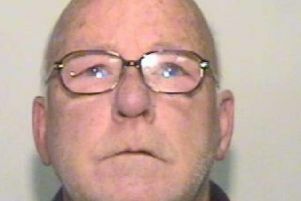 He was thrown out of his home by his wife when she found out about the affair and said he and Mrs Gallear were set to view a bungalow together on the day of her killing. Mr Prescott confirmed to Simon Csoka QC, defending, that he was now reunited with his wife, Ann-Marie Croft.